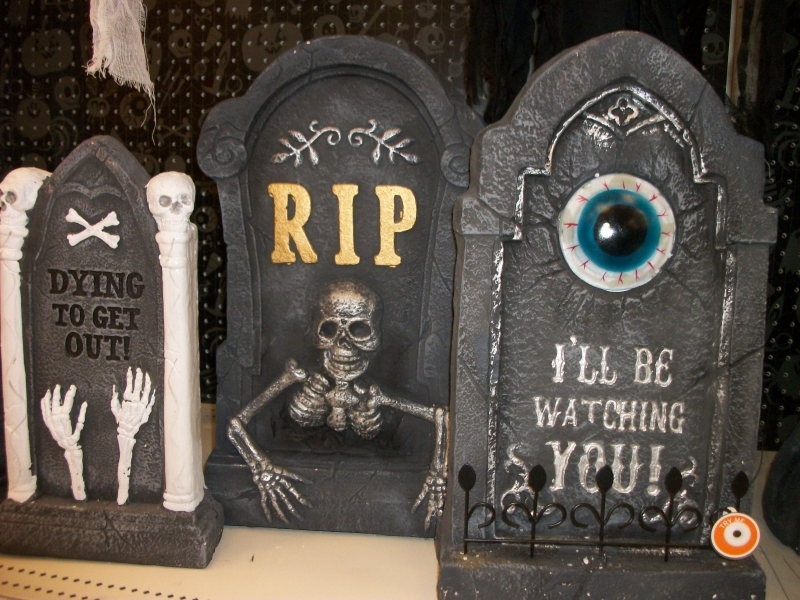 Many of my favorite Halloween items have come to us from Target. It's even still the only place in the states selling those Slimy Sludge figures, and was where I first found the glorious Magnificent maggot. In 2014, Target is offering a lot of great little items far beyond what I've chosen to photograph or buy for myself, even some pretty awesome stuff in their dollar section up near the entrance. 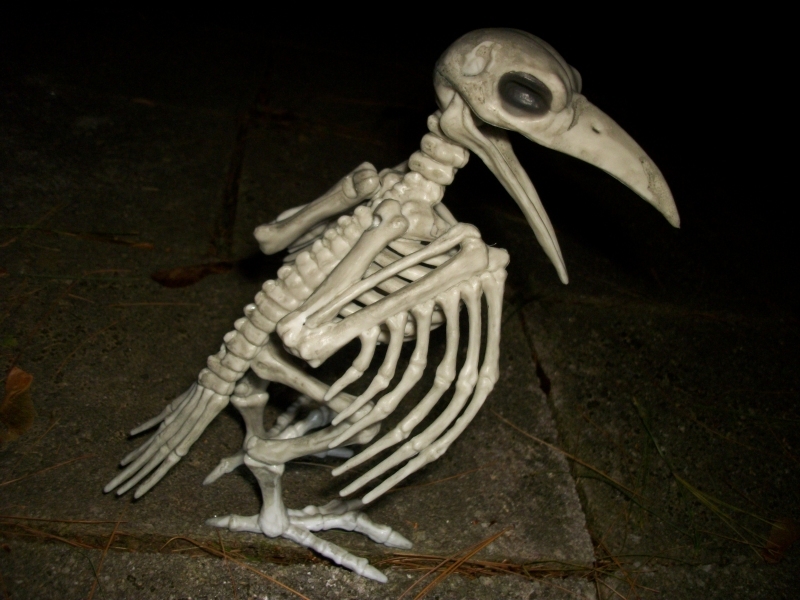 With bony phalanges where an actual bird has feathers, these skeleton crows are completely inaccurate to any actual bird, but that only adds a little secondary creep factor, doesn't it? Not only are these birds fully articulated, but I've heard that some stores sell them with little bonuses, like gummi worms threaded through their bones. 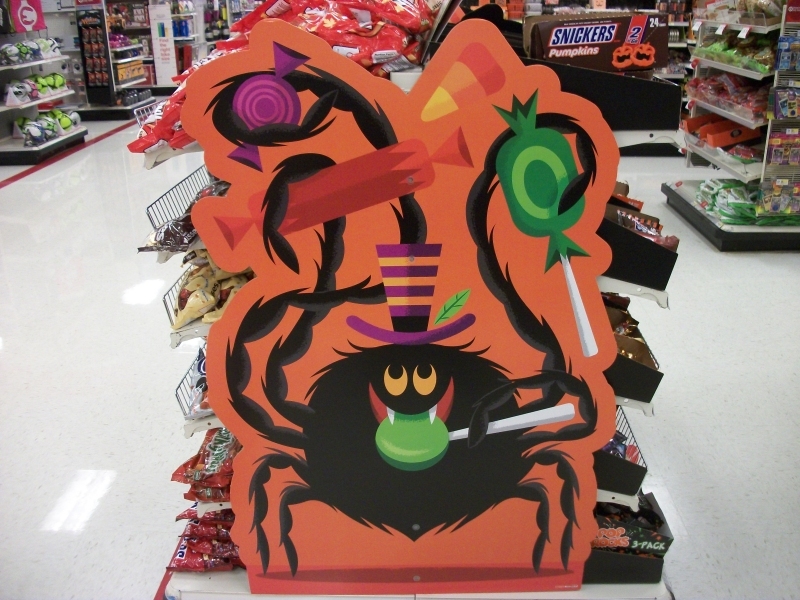 I even saw one at a pharmacy with a plastic bat in its mouth; did this one just get robbed of its treat before it fell into my hands? It was the only one at any of our Targets, so I'll never even know if it was meant to come with something. 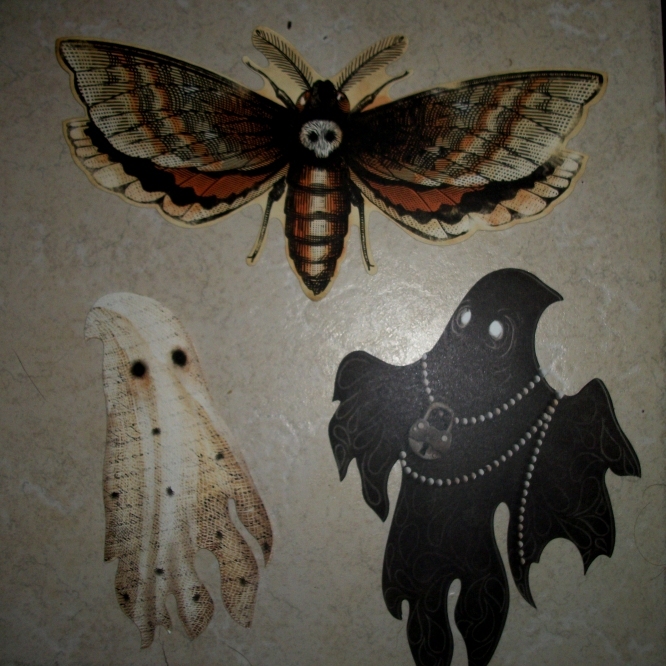 You can find these in the arts and crafts section this year, and there's actually more than a dozen designs in one pack, including skulls, rats, chandeliers, spiders and mystical imagery, but the winners are clearly the Death's Head Moth and the two ghosts. One is a burlap cloth with the creepiest little burnt-out eyes and a spider infestation, while the other is a rare black sheet ghost with...pearls? I guess they're meant to be chains, what with the padlock and all, but they just kinda look like strings of pearls. The camera flash also reveals the paisley-like pattern of the black cloth. This is one fancy black ghost! 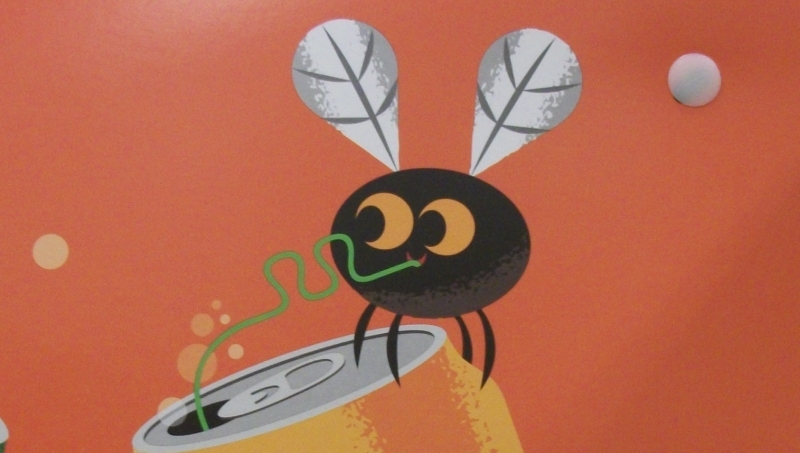 You get two each of these designs, too, and a pack is only around five bucks! As you've likely guessed, these both light up and make crackling, electrical science noises, just like the hats worn by all real scientists! 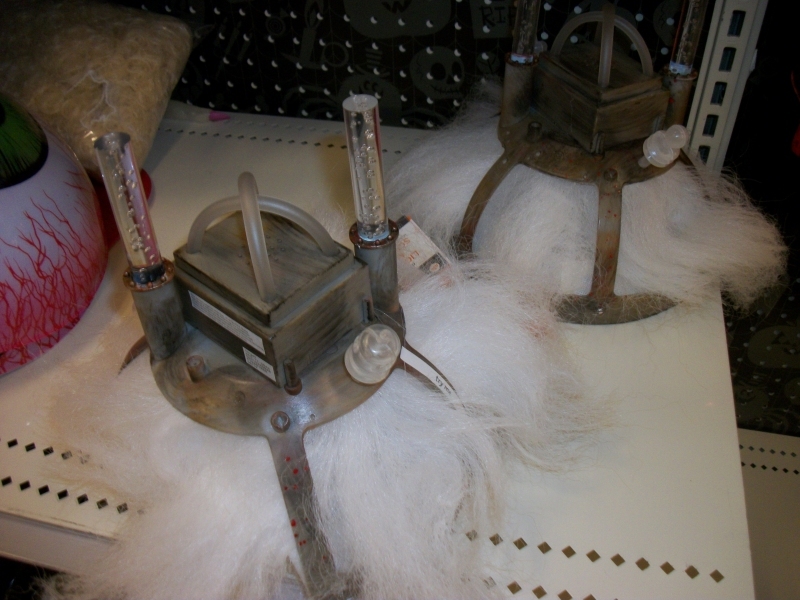 Taken out of headgear context, of course, these just appear to be tribble-like hair creatures trapped in some sort of bizarre torture device, which we can assume was their own idea. They're just like that. You can also see part of a beautiful eyeball mask here, which I don't really need to show you the rest of, but I highly recommend picking up. Even if you're not going to wear it, it's a huge eyeball for just $7.99, which you could hang on the wall or use as a makeshift lampshade or just about anything you want. Or, you can wear it on top of your head like a hat. While all of these have their unique charms, you and I both know the eyeball one is one of the greatest things ever. That clearly isn't just some carved decoration. That is a living, organic eyeball growing out of that tombstone, and whoever was buried there apparently planned for exactly that to happen. This is a kind of haunting I hadn't really considered before, that someone might be able to sprout organs out of their grave to exact some kind of vengeance. 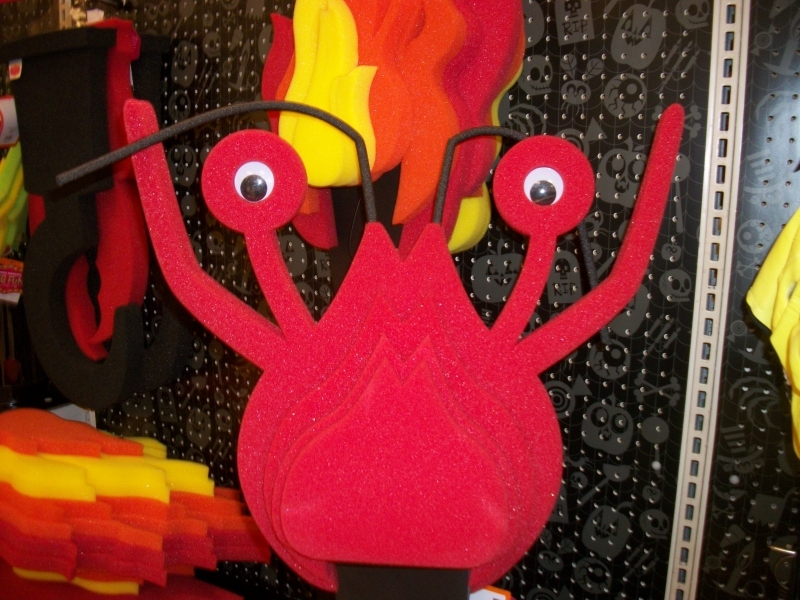 These chunky, colorful foam hats debuted in Target's Halloween section last year, including a Medusa wig, a brain and I think demon horns, but this year, they decided a giant googly-eyed lobster would make sense for Halloween, and it does. Voice-repeating novelties like this are decades old, but they usually take the form of fake parrots, monkeys or other wholesome fare. 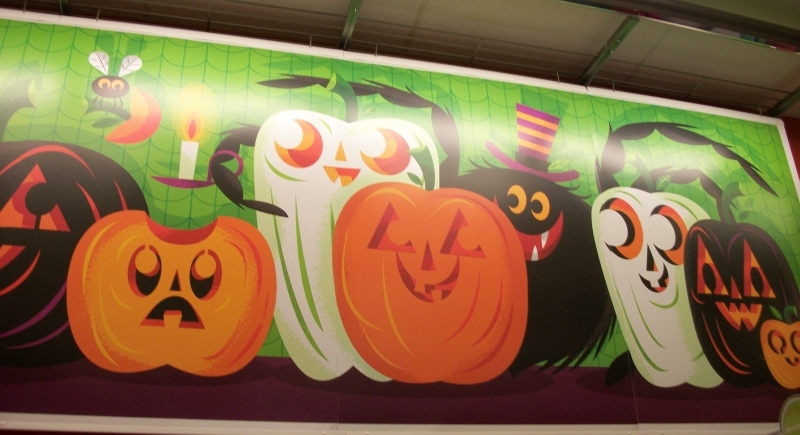 The only Halloween versions I've even seen before were talking ravens, spooky but still fairly down to earth. This is the first time I've encountered one as unsettling as a living human skull, complete with eyeballs and preserved under a dome like some abominable laboratory specimen. The whole notion of a skull that just mindlessly repeats what it hears is creepier the longer you think about it, and creepier still is how it repeats everything back at a higher, more childish pitch - even compared to my already elf-like voice. I'm sorry I didn't have anything more interesting to say for the video, but I didn't really have the nerve to stand in the middle of a Target and loudly spout ridiculous dialog at a plastic head. I have my limits.